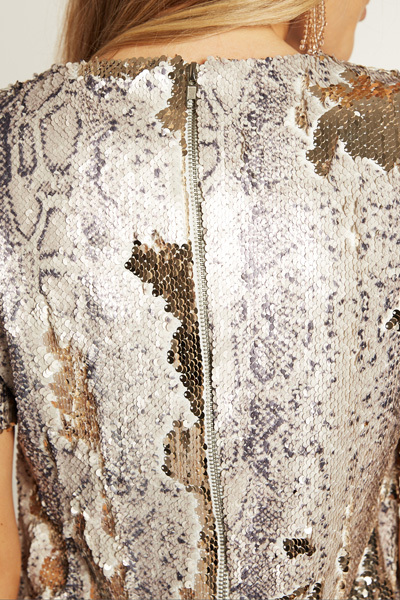 What could be more fabulous than snakeskin you ask? 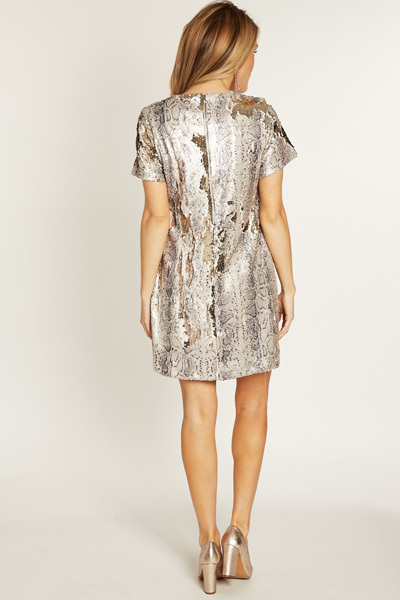 Snakeskin covered in sequins! This shift dress is a proven seller for us - you've seen it here in solid fabrics for many years! Dress is lined and has a zip back closure. Fit is a bit narrow. Model is wearing size small. Shoulder to hem measures approximately: S- 31" M- 32" L- 32.5"